Can technology replace real estate agents in UAE? 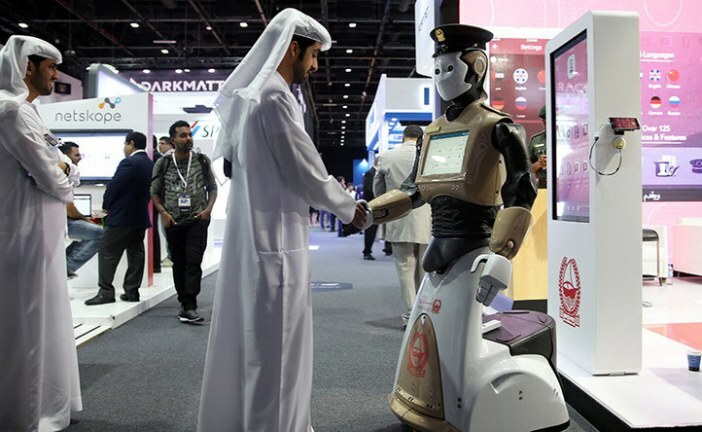 Technologies such as virtual reality (VR), augmented reality (AR), mixed reality and Artificial Intelligence (AI) are set to change how properties will be marketed in the UAE. They are also expected to transform the house hunting experience. Buyers from any part of the world can wear VR headsets and virtually visit properties without leaving their homes before they narrow their choices. It can also be instrumental in building the necessary trust and inspiring desire in potential buyers. With a new generation of tech-savvy millennials gaining economic power, developers and real estate agents must deploy proptech (property technology) to sell off-plan real estate. “The future of buying and selling real estate is being disrupted. VR can play a huge role in shortening the buying process. It offers a very immersive experience. It can delivered as a tool in sales centres or through mobile applications to potential buyers,” said Nebojsa Zaklan, chief creative officer and company partner at Case3D, a real estate marketing consultancy. The use of such technologies makes it easier for developers and agents to present unbuilt properties. They can replace mock-up rooms and staging of projects because proptech comes at a fraction of the cost and time required to build a mock-up unit. A vast majority of real estate agents say staging helps buyers choose a piece of property as their future home. While staging in the real world is a great way to market property, it requires a large investment, particularly if you’re selling newly built properties. “The advantages are an ability to extend the target market. With VR, it makes it easy for someone living thousands of miles away to see a property, understand its location, views, amenities and features. It also allows designers of projects to detect design issues and mistakes by walking through the project on VR rather than retrofit mistakes post completion of construction,” said Fadi Nwilati, CEO, Kaizen Asset Management Services. However, will VR eventually eliminate in-person viewings altogether or eliminate the need for real estate agents? Market experts said these tools exist to empower the developer, agent and buyer by simplifying the decision-making process. As powerful as VR is, it cannot replace human input. “There is a lot of experimentation going on in this space and catering to foreign investors through VR may well have a place. However, from an end-user perspective as well as an investor perspective, the vast majority of people still like the touch and feel of real estate once it’s ready. In that sense, there will always be some place for human interaction. Currently that interface may well be inefficient, but it’s hard to imagine a framework where it’s obviated altogether,” said Sameer Lakhani, managing director, Global Capital Partners. Selling properties requires telling a story; that story, for now, can only be told by a human. In the very new future, VR will become a multi-user experience. The agent will become a curator of this experience, guiding buyers through the process. “People will always need a personal touch to a situation, especially one that involves a big ticket investment. It will make real estate agents have to get better at their jobs, because machines are going to start giving advice to end-users. Machines are going to be better equipped to make decisions with more data while agents, using their rich experience of portfolio management, will end up being the end layer of the real estate buying process,” observed Ann Boothello, director of marketing and property expert, dubizzle. With the UAE real estate market being very competitive, all major players are trying to stand apart from each other by being early adopters of such technologies. Property management companies and advisory services are also likely to be disrupted. “Proptech will only be disruptive if it meets the objective of enhancing liquidity and reducing costs. If these are not met, then the ‘coolness’ factor is ultimately transitory, a solution in search of a problem that does not exist oftentimes,” added Lakhani. The main challenge in the adoption of these technologies is the need for players to understand its full potential. “Right now, it can be seen as a novelty or a gimmick. The people who will be using it need to be educated,” said Zaklan. Adopting AR and VR can also help detect design coordination errors and reduce wasteful change orders on a construction site. They will improve efficiency during every step of the construction process. “In one of the design developments we were managing for a tower in Dubai Marina, touring the design of the tower on VR allowed us to detect 176 issues that we were not able to detect using the traditional floor plans and design boards. Not only did this allow us to save around Dh3.5 million to Dh5.5 million, we were also able to have a more functional design,” Nwilati pointed out.